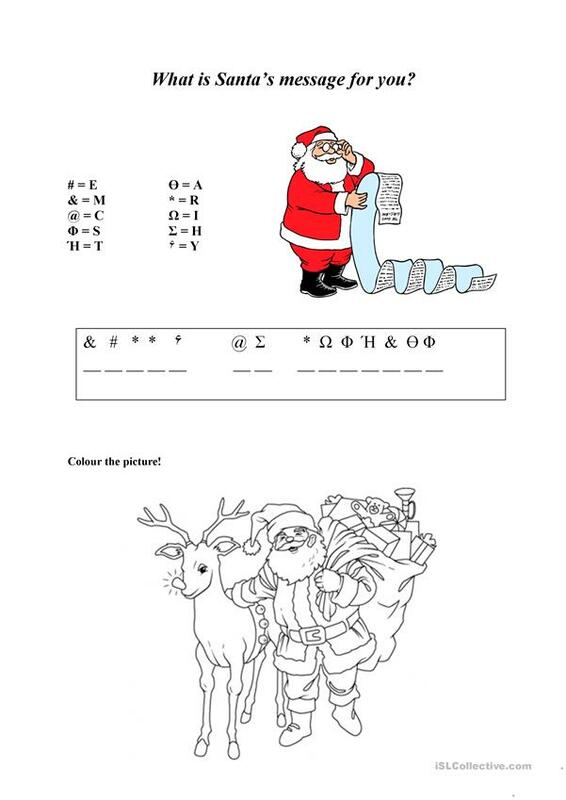 In this task pupils have to find out Santa's message. There's a nice coloring below. This downloadable handout was created for elementary school students at Beginner (pre-A1) level. It is about the theme of Christmas.